The tower of St Ann’s Church in Manchester marks the absolute centre of the city. 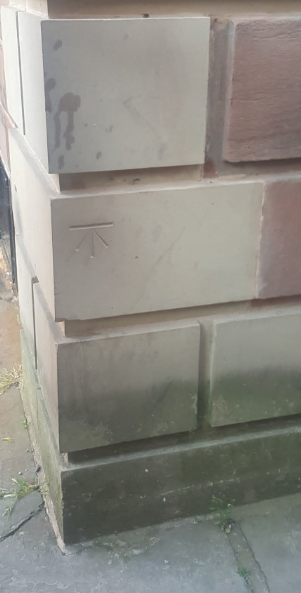 When Manchester as we know it today was planned in the 17th century, a mark was made on the tower by a surveyor. 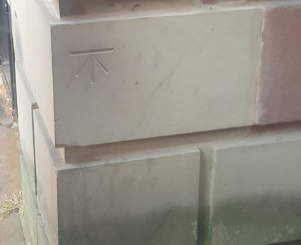 This is the spot from which distances to other locations were measured. During the day a florist stall stands there but when they leave each evening, you can see the mark for yourself!